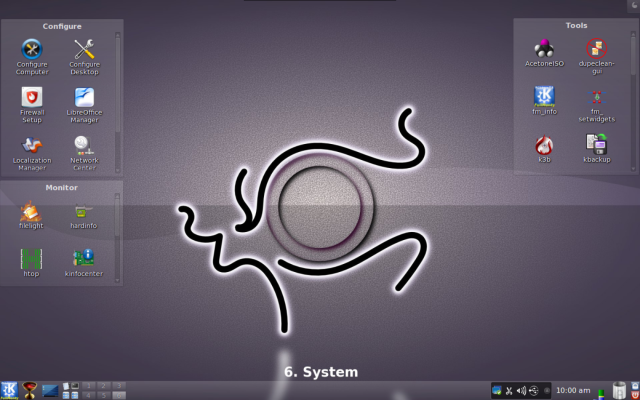 PCLinuxOS, often shortened to PCLOS, is a GNU/Linux distribution, with KDE Plasma Desktop as its default user interface. It is a primarily free software operating system for personal computers aimed at ease of use. It is partially considered as a rolling release. The precursor to PCLinuxOS was a set of RPM packages created to improve successive versions of Mandrake Linux (now Mandriva Linux). These packages were created by Bill Reynolds, a packager better known as Texstar. From 2000 to 2003, Texstar maintained his repository of RPM packages in parallel with the PCLinuxOnline site. In an interview, Reynolds said he started PCLinuxOS "to provide an outlet for [his] crazy desire to package source code without having to deal with egos, arrogance and politics." In October 2003, Texstar created a fork of Mandrake Linux 9.2. Working closely with The Live CD Project, Texstar has since developed that fork independently into a full-fledged distribution. The initial releases were successively numbered as "previews": p5, p7, p8 up to p81a, then p9, p91, p92, and p93. Almost all major releases have been accompanied by new boot-up and login screens, along with some changes in icon sets, and login sounds. 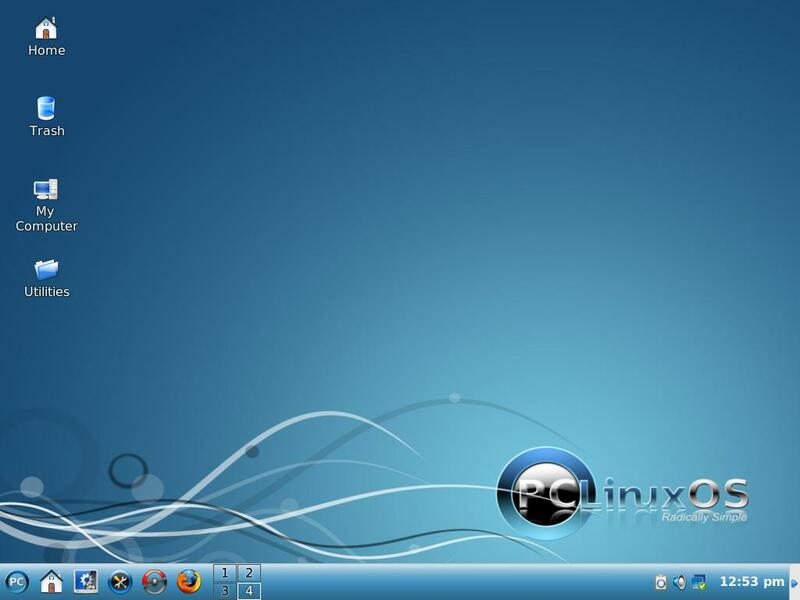 With the advent of PCLinuxOS 2007, PCLinuxOS was rebased on Mandriva Linux 2007. This implied a shift to a more modern code, which required a complete reinstall to this version. The new version featured a new look, and built-in 3D effects. A new logo was also designed for the new version, and was incorporated into the boot screen. A new login screen was designed, entitled "Dark". The final/official PCLinuxOS 2007 version was released on 2007-05-21. The last version of the 2009 Live CD, PCLinuxOS 2009.2, was released on June 30, 2009. Improvements included bug fixes, new backgrounds, sounds, and start-up screen, as well as quicker start-up times. It was the last PCLinuxOS live CD to ship with K Desktop Environment 3, and the last of the PCLinuxOS 2007 backward compatible series. 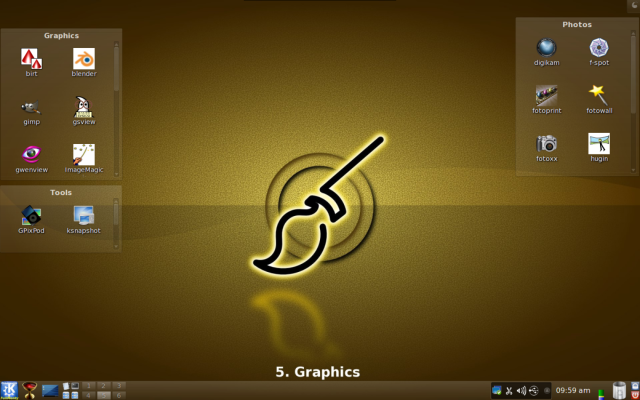 Remasters of PCLinuxOS, featuring the Xfce (Phoenix), LXDE (PCLinuxOS-LXDE), and Gnome (PCLinuxOS-Gnome) desktops were also made available. The 2010 version of the Live CD was released on April 19, 2010. 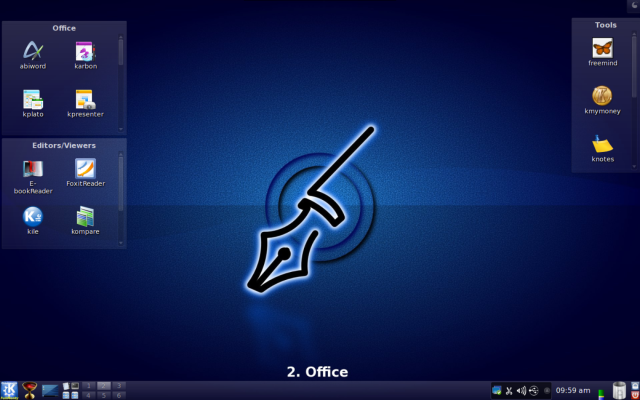 It includes the new KDE SC 4.4.2, a new graphical theme and a new version of the Linux Kernel (Kernel 2.6.32.11). It is also the first PCLinuxOS Live CD to include the ext4 file system support. This version requires a complete reinstall of the operating system. 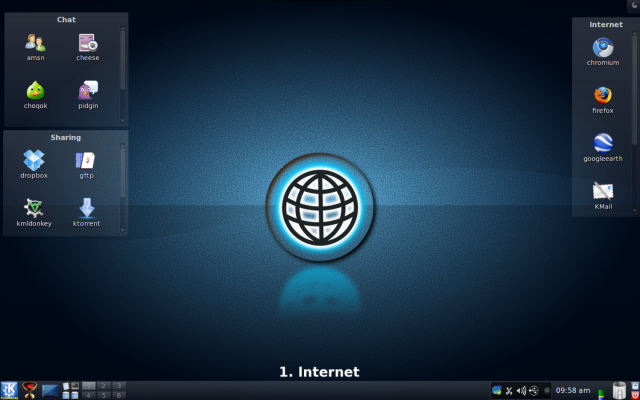 While a version of PCLinuxOS that features the GNOME desktop environment was introduced in 2008, the 2010 version is the first one to not only offer the KDE Plasma and GNOME versions, but also versions with Xfce, LXDE, Enlightenment, and Openbox. [The] Kernel has been updated to version 2.6.32.12-bfs. KDE Plasma Desktop has been upgraded to version 4.4.3. Support has been added for Realtek RTL8191SE/RTL8192SE WiFi cards and Microdia webcams. Vim console text editor and udftools has been added. Fixed CD-ROM ejection when using the Copy to RAM feature. Fixed KDE new widget download. Updated nVIDIA (195.36.24) and ATi fglrx (8.723) drivers. Updated all supporting applications and libraries from the software repository which include security updates and bug fixes. Kernel – The kernel was updated to version 2.6.38.8. Additional kernels are available from our repositories such as a PAE kernel for computers with more than 4GB of memory. A BFS kernel for maximum desktop performance and a standard kernel with group scheduling enabled. X.org – Xorg server was updated to version 1.10.2. Mesa updated to 7.10.3 and libdrm to version 2.4.26. This update brings enhancements to the PCLinuxOS desktop including speed, 3D desktop support for most Intel, Nvidia and AMD/ATi video cards, better font rendering, black screen fixes for most Nvidia cards, better Flash playback and more. The most recent versions of Nvidia and AMD/ATi video drivers are included on the LiveCD and automatically configured for you. The bad news is users with older legacy video cards included in most dated computers may not function properly due to many depreciated xorg video drivers. Toolchain – GNU Compiler Collection was updated to version 4.5.2 and glibc updated to 2.10.1. Locales were updated to version 2.12.1. Package Manager – RPM was updated to version 4.8.1. apt-get and the Synaptic Package Manager were also updated to work with the updated rpm packages. yum and yumex will be available in the coming weeks as an alternative package manager. Theme Update – The 2011 release received a full makeover. PCLinuxOS features a new brush metal theme including updates to grub, plymouth, kdm, kdesplash and application splash screens. Additional themes are available as well as our previous theme from our software repository. Remastering Tools – mylivecd was updated to work with the latest release. mylivecd added the ability to install PCLinuxOS from the boot menu without having to go to the desktop first. There are 3 compression schemes available now for remastering your installation. xz maximum compression, xz normal compression and gzip for fast compression. xz max takes longer to generate the LiveCD but produces the most compressed image where as gzip will create a LiveCD fairly quick but the compressed image will be larger. mylivecd can also generate a LiveDVD with up to 4GB of compressed data. Usually a 10–12GB installation will compress into a 4GB DVD. Software – PCLinuxOS 2011 LiveCD come with the latest versions of most popular programs such as KDE SC 4.6.4, Firefox 5.0, Thunderbird 3.1.11, Pidgin 2.9.0, VLC 1.10.0 and Clementine 0.7.1 just to name a few. OpenOffice Manager has been replaced with LibreOffice Manager. Due to the limited size of the LiveCD the office suite is not included but can be installed through the LibreOffice Manager either in LiveCD mode (3GB memory required) or preferably after hard drive installation. Addlocale has updated translations and can convert a PCLinuxOS installation into over 70 different languages. The software included on the LiveCD was based on community feedback as to what the PCLinuxOS users wanted to be included by default. PCLinuxOS is distributed as a Live CD, which can also be installed to a local hard disk drive or USB flash drive. Version 2009.1 provides a USB installer to create a Live USB, where the user's configuration and personal data can be saved if desired. A live USB of older versions of PCLinuxOS can be created manually or with UNetbootin. The entire CD can be run from memory, assuming the system has sufficient RAM. PCLinuxOS uses APT-RPM, based on Advanced Packaging Tool (or APT), a package management system (originally from the Debian distribution), together with Synaptic Package Manager, a GUI front-end to APT, in order to add, remove or update packages. If there is enough memory on the machine, and an active network connection, the Live CD can update packages. PCLinuxOS is also designed to be easy to remaster after installation, creating one's own personalized Live CD, using the mklivecd tool. 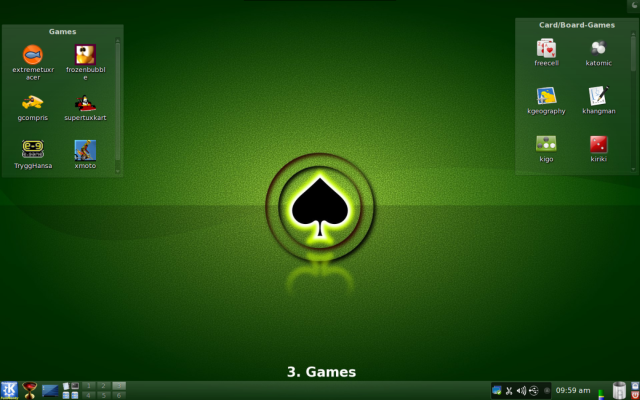 Although it retains a similar "look and feel" to Mandriva Linux, PCLinuxOS has diverged significantly. The code was officially forked from Mandrake 9.2 into an independent project in 2003. 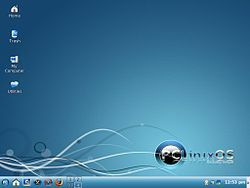 After three years of continuous development, the developers took advantage of further development in (the renamed) Mandriva, and forked the code again late in 2006 for PCLinuxOS 2007. PCLinuxOS maintains its own software repository, available via the Advanced Packaging Tool (APT) and its Synaptic front-end, completely replacing Mandriva's urpmi. This means that an installation could be continuously updated to the latest versions of packages, hence forgoing the need to re-install the entire distribution upon each successive release. In the releases before 2007, it was sometimes necessary to perform a re-installation. Other differences include its own menu arrangement, custom graphics, and icon sets. PCLinuxOS places specific emphasis on desktop computing, concentrating its efforts for home or small business environments, hence paying less attention to other more "traditional" uses, like servers, although packages for most server tasks are available. There are several community projects associated with PCLinuxOS. MiniMe is a minimal "Live & Install" CD for experienced users wishing to add their own selection of packages. PCLinuxOS 2008 "MiniMe" edition was released on 2008-01-07. KDE FullMonty (Live & Install DVD) = regular PCLinuxOS KDE installation + special desktop layout + many applications & drivers preinstalled. The idea of the FM concept is to provide the best out-of-the-box experience in an intuitive, thematically organized desktop setup. 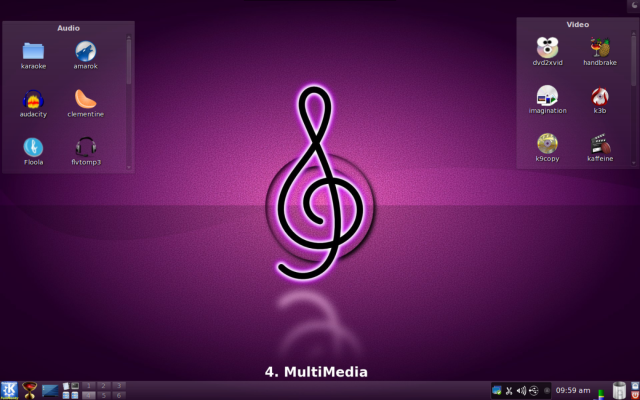 FM is designed for Linux beginners and newcomers from other operating systems. The typical user is provided with a cream of the crop selection of activity-related applications available in PCLinuxOS. The most popular ones are easily accessible from the respective virtual desktop and many more applications can be accessed from the PCmenu. The variety of applications in FM serves several purposes: advertising those applications to users; stimulating the comparative usage of these applications in the forum, learning about and discussing specific application features, and finally helping deciding on and providing constructive feedback on finding the most popular application for a given task. FM should facilitate the entry into the Linux desktop experience and provide an intuitive and easy to use working environment. The PCLinuxOS Magazine project is a community driven free publication focused on the users of PCLinuxOS by MyPCLinuxOS. PCLinuxOS Magazine is published on a monthly basis. All content for the publication is solicited from the PCLinuxOS user base. Read all articles at the Linux Place!